OH! I love it. My grandmother had a phone like this and now I'm wondering whatever happened to it . . . As a child, I looked for any excuse to put my finger in the circles and dial away. Way cooler than the cordless I'm looking at right now. Blah. Thanks, Courtney! 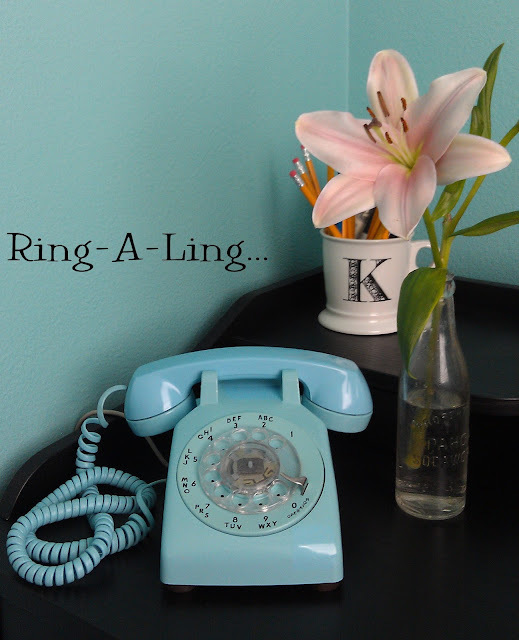 And while the vintage one looks better, our cordless phones are still very much in our house, too. I helped out at a garage sale at a community hall this eekend with an old wall mounted rotary phone. 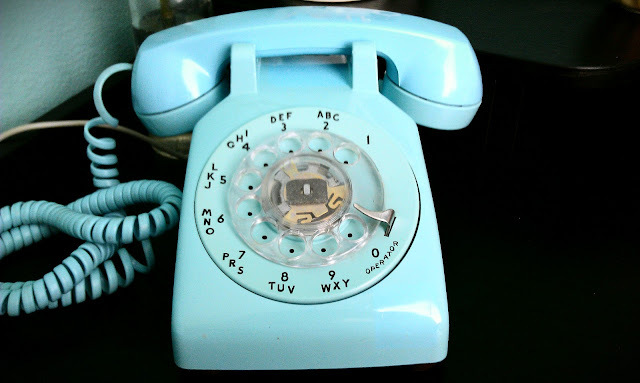 When I used it, I couldn't believe how long it took to dial our number. It took FOREVER! And I grew up with the things, too. PS__I have heard it is recommended that you have a dial telephone in case the power goes out. You're right, Alana, our phones & dialing have gotten so fast, compared to the past! And yes, a rotary or push button phone, that doesn't rely on any electricity, will keep working through a power outage. So nice to receive something you really wanted! The new phone looks so cheerful! What a fabulous gift! The color is so fun. Just imagine all the messages that have come in over that old phone. Dates made etc. Fun!